Formartine is blooming lovely. 2017 again saw the Formartine Partnership run the popular “in bloom” competition for villages and the ” beginning to blossom” competition for schools in the Formartine Area. The Award Ceremony at Meldrum Academy was well attended on Tuesday night by the schools and community groups and there is an attached copy of the Awards List for your information. Follow the link to see how the different communities faired. 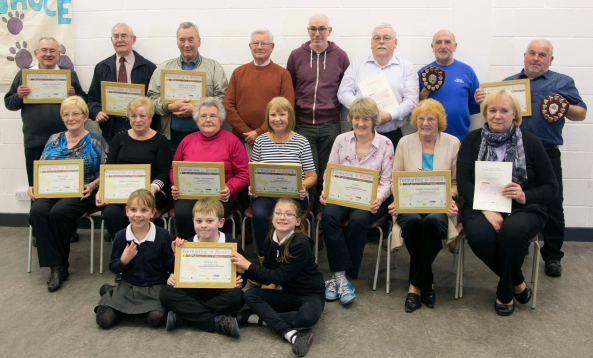 A group photograph of the schools with their certificates and one of the winners of the communities – you will note that the school pupils represented Auchterless to collect their prize as they had assisted in the village.